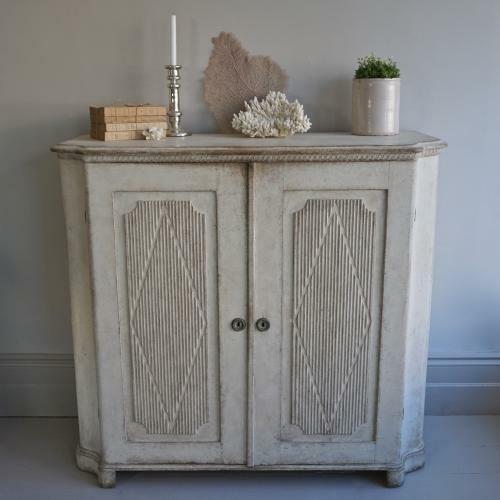 A stunning and richly carved Gustavian style buffet with wonderful rare concave corners, a decorative scrolling trim over two inset panelled doors with vertical reeeding, concave corner cut-outs and diamond details. The inside has been hand scraped back to its original colour. Swedish circa 1840.